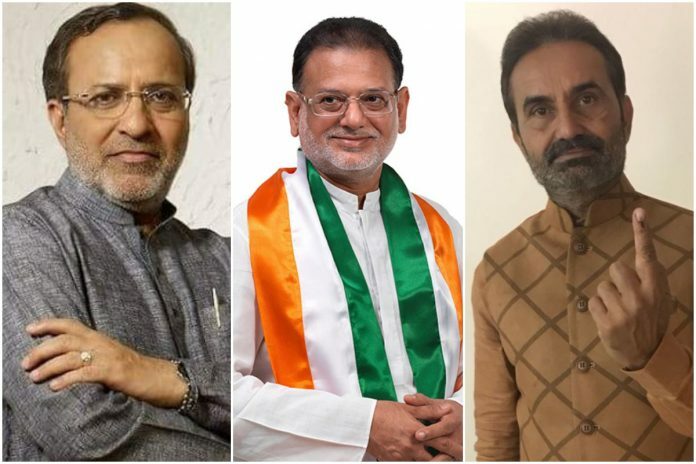 Shaktisinh Gohil, Indranil Rajguru, Siddharth Patel, and Arjun Modhwadia lost to their BJP rivals in the Gujarat elections. The counting of votes for the Gujarat assembly revealed a close battle between the leading parties. The BJP was keen to strengthen its grip on the state, while the Congress was trying to put up a formidable fight. Both parties had brought out their big guns in the run-up to the elections, with Narendra Modi and Rahul Gandhi holding several rallies featuring targeted attacks. Many heavyweights from the BJP and the Congress were also pitted in head-to-head fights. ThePrint takes a look at the biggest losers so far. Congress leader Shaktisinh Gohil contested the election from the Mandvi seat in the Kutch district. The region has a significant number of minority voters, including Dalits and Patidars, who were expected to vote for the Congress. However, in a major shock, BJP’s Virendrasinh Jadeja bagged the seat with a margin of 13.12 per cent of the vote. Gohil had also lost the elections in Bhavnagar (Rural) in 2012, when he contested against Purushottam Solanki of the BJP. The 57-year old was re-elected to the assembly from Abdasa in 2014 with a small margin. BJP candidate Chakravarti Vijaykumar Harkhabhai didn’t prove much of an obstacle for Dalit lawyer and activist Jignesh Mevani, who emerged as the face of Dalit resistance against the BJP in Gujarat. With around one lakh Muslim and Dalit voters among the 2.5 lakh electorate, the BJP candidate ended up on the losing side. This is a reserved seat for members of the Scheduled Castes. Manilal Jethabhai Vaghela of the BJP won the seat in 2012 assembly elections, with a margin of 90,375 votes. The Congress withdrew its candidate this time after Mevani announced his nomination as an independent last month. The Congress party lost this constituency after it nominated its Rajkot East sitting MLA, Indranil Rajguru to contest opposite the BJP’s incumbent Chief Minister Vijay Rupani. Rupani won by over 20,000 votes. On the Rajkot East seat vacated by Rajguru, Arvindbhai Raiyani of the BJP beat Mithul Donga. The Porbandar constituency was predicted to be a tough fight between old rivals Babu Bokhiria of the BJP and the Congress’s Arjun Modhwadia. After serving for two consecutive terms, Modhwadia lost by a considerable margin of around 17,000 votes to Bokhiria in 2012. This time, the Congress nominee campaigned hard to regain lost ground. However, the former state Congress chief lost to Bokhiria again, this time by 1,855 votes. Siddharth Patel is a former Gujarat Congress president, and was a star candidate from Dabhoi district of Vadodara. He contested against BJP’s Shailesh Mehta, but lost by a small margin of 2.26 per cent of the votes. The chances of Patel’s victory had risen when Mehta embroiled himself in controversy for his hate speech against a minority community. However, the election results proved otherwise.